.Guizhou province will relocate 750,000 people from 3,500 villages in poverty-stricken mountainous areas to newly-constructed homes in 2017. 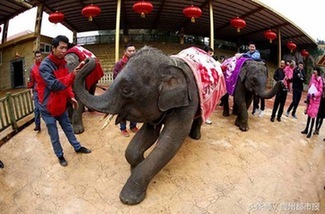 Twelve elephants from Laos made their debut at Guizhou Forest Wildlife Zoo on Jan 19. 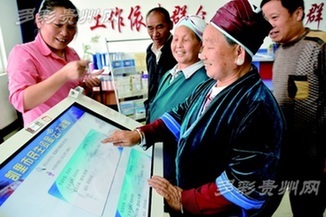 Passengers aboard trains traveling home to Guizhou for Spring Festival received a pleasant surprise recently during what is normally a long and busy journey – they were entertained. Bus passengers in Guiyang will now be able to beat the traffic jams in the Guizhou province capital. Hidden deep in the mountains in northern Guizhou flows Dafa canal, which brings water and hope to the residents of Caoyuanba team, a jurisdiction of Tuanjie village. 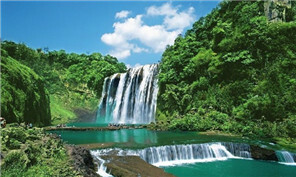 If you’re choosing hot words to describe Guizhou province in 2016, “big data” must be on the top of the list. In the past year. China Resources (Holdings) Co Ltd is to invest 100 billion yuan ($14.5 billion) to construct a service industry cluster by 2022 in Guiyang, capital of China's southwestern Guizhou province, taking advantage of the city's key geographic location and existing strengths in its big data industry.